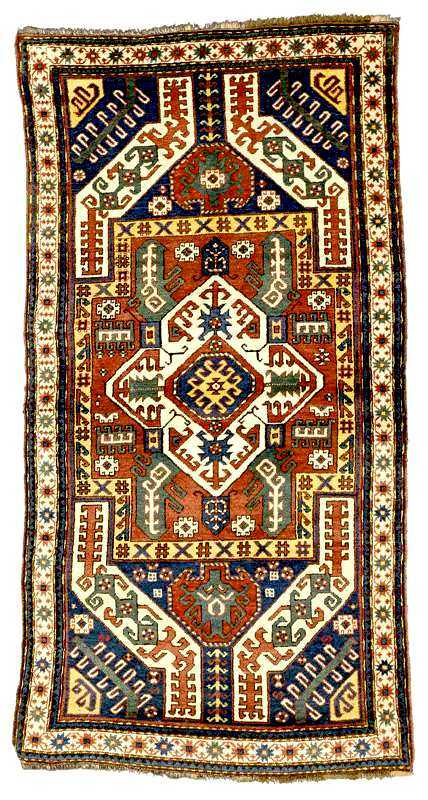 "Another plate from the same source depicts a "Karabagh District pile rug, Kurdistan area, Kasym Ushagy village." This attribution raises more questions than it answers. Is there a village of that name, and, if so, where is it? The authors have included seven maps, most of which deal with the distribution of various ethnic groups, but there are no maps indicating the location of villages or towns. Not only is there a substantial series of Kasim Ushag rugs with Armenian inscriptions, but a translation of this label by Armenians indicates that it means, "in the manner of Ushak." Is the 1928 lithograph merely that of a commercial pattern, or does it relate to the Kasim Ushag rugs collected in the West today?" I conducted a detailed search of the place names in Armenia, Azerbaijan, and Georgia. There is an Ushak in the Kuba area. However the only name even vaguely similar is Kazanbulak. 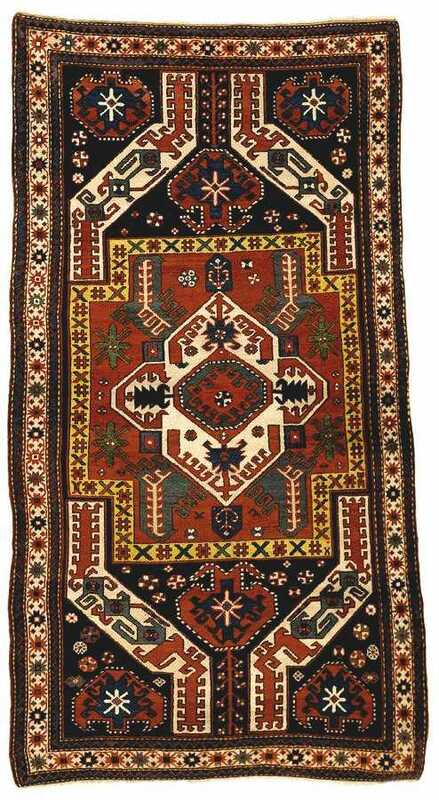 Ulrich Schurmann attributed Kasim Ushak rugs to the "isolated Kurdish tribes" of Karabagh. 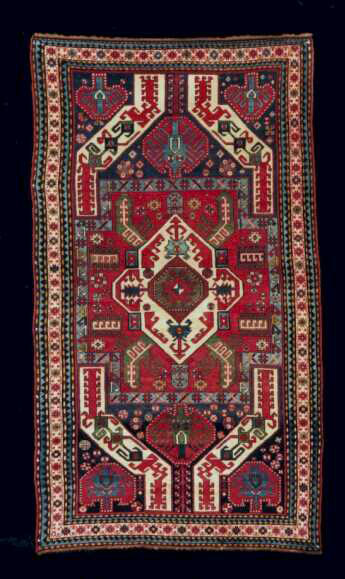 Caucasian Rugs page 40. Schurmann did not specify a particular town or village. 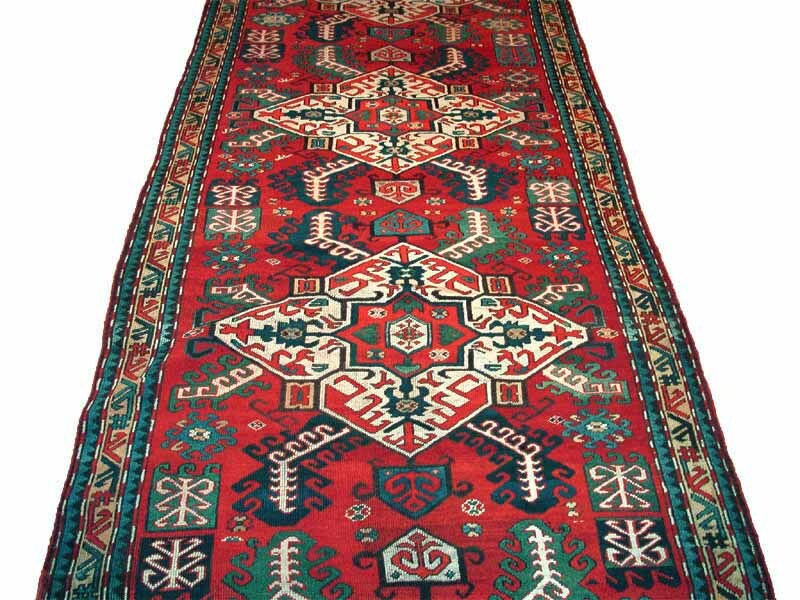 In Oriental Rugs Volume 1 Caucasian.makes the observation that Kasim Ushak are indistinguishable from Chelaberd rugs. 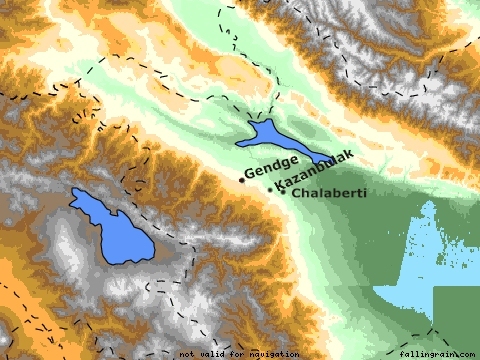 Kazanbulak is a neighboring town to Chelaberti (Chelaberd) in the northern most area of Karabagh (Nagorno Karabahk). Eiland & Eiland argue for an Armenian provenance rather than a Kurdish one. Two very interesting clue they offer are the great number of Kasim Ushaks with Armenian inscriptions and perhaps more significantly the incidence of packing cables. 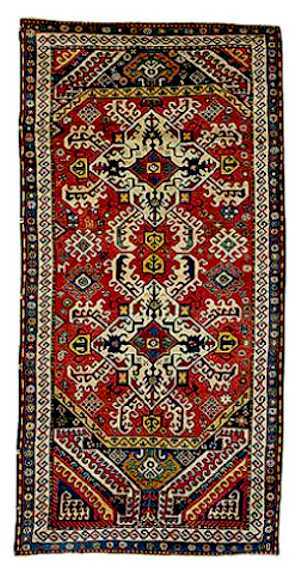 Oriental Rugs A Complete Guide page 24. These are heavy cabled wefts at irregular intervals used to hammer down to keep the rug straight and compact. 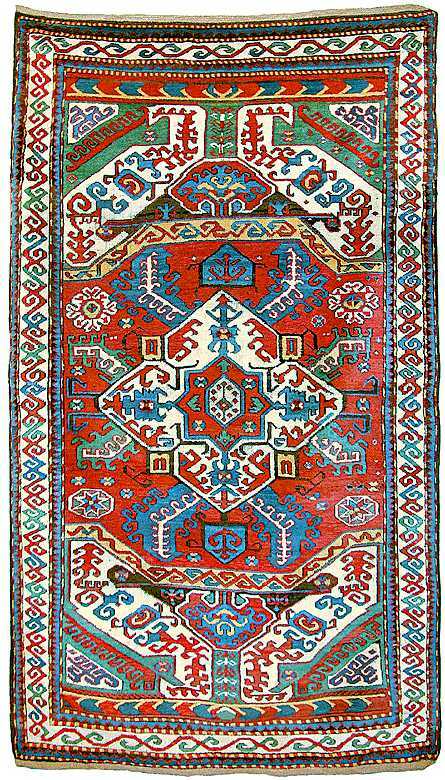 This technique is rare except in carpets such as Dragon Carpets. Size: 8 ft. 7 in. x 4 ft. 3 in. Size: 7 ft. 7 in. x 4 ft. Description: Partially oxidized browns. Circa 1890. Size: 8 ft. 5 in. x 4 ft. 4 in. Notes: Sides rewoven; original flat-woven ends. Corroded brown, some minor restoration, otherwise in good condition. Height: 7 ft. 7 in. x 5 ft. 2 in. Description: Kasim Ushag design in maroon, ivory, midnight blue, gold, red, camel, and blue-green. A royal blue field contains a narrow ivory "crab" border. There are small areas of wear and a guard stripe partially missing from one end. There are also dye runs throughout the rug. Size: 4 ft. x 8 ft. Condition: Both ends re-knotted. Overcast selvages. Corroded browns. 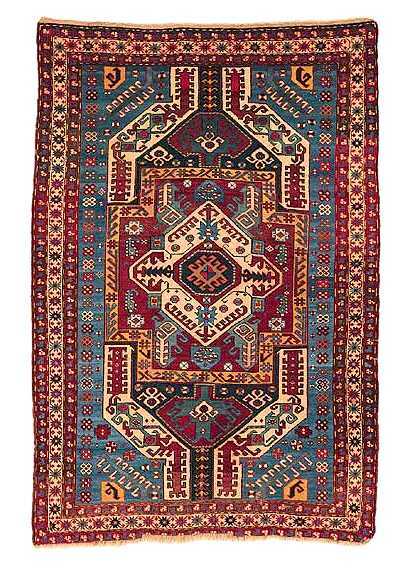 Kasim Ushag Rug, Southwest Caucasus, circa 1890.